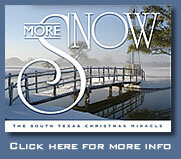 Who could forget the once -in-a-lifetime South Texas snowfall on Christmas Eve 2004? Record-setting snow fell in areas that hadn't seen snow in more than 100 years! More than 500 miles of Texas' Gulf Coast were transformed into a winter wonderland and cities such as Houston and Galveston, Corpus Christi, Victoria, as well as Brownsville and South Padre Island received two and twelve inches of the magical white stuff. Never to be forgotten, three beautiful books recount the true story of this magical, miraculous, and memorable meteorological event throught beautiful photographs and clay artwork illustration and rhythmic proxe. 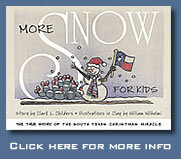 A "musta have" for Texans and non-Texans, as well as snow lovers-of al ages! It's snowing again in Texas! This beautiful coffee-table book compiles the best photographs taken by both amateur and professional photographers showcasing the Christmas 2004 once-in-a-lifetime snowfall. The broad ranging collection show how the miracle storm transformed the arid Coastal Bend into a winter wonderland. 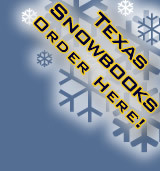 Snow covered images include photos from Galveston, Victoria, Goliad, Corpus Christi, Rockport, Padre Island, and Brownsville. 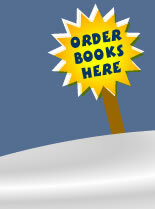 Accurately dubbed “the little book that could,” it has sold more than 70,000 books in seven printings since its release in October 2005. This delightful, one-of-a-kind children’s book is written by Clark Childers and illustrated by local art legend and famed potter William Wilhelmi. It tells one of the greatest stories ever told and the hours leading up to the storm and why it happened through photographs, rhythmic and rhyming verse, and clay illustrations to tell. 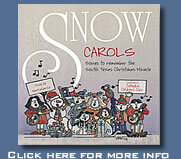 A commemorative CD featuring "Let the Snow Fall on South Texas" recorded by brother-and-sister duo GarciaGarcia, Sally Garcia and Ruben Garcia and the Corpus Christi Cathedral Choristers.